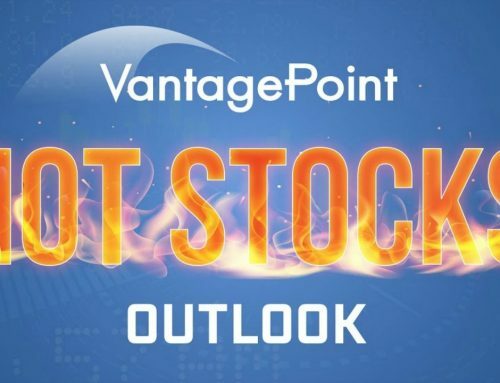 The VantagePoint platform recently indicated a potential upside breakout in AOBC could be forming due to a bullish crossover from 3/27/18 to 3/28/18. Using the predictive indicators embedded within the VantagePoint software and its predictive AI technology, we will point out two significant things. We have a bullish crossover indicated by the blue predictive indicator line crossing below the black, simple moving average from 3/27/18 to 3/28/18. 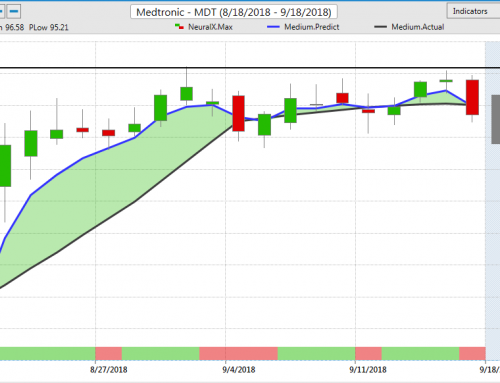 We can combine that with the VantagePoint propriety neural index indicator moving from the RED to the GREEN position the trading period before. This indicator measures strength and weakness for a 48-hour period. In this case strength. The move to the GREEN position further makes the case for a potential bullish scenario. That’s why one could consider entertaining a setup to the upside. If one were a straight stock trader, simply buying AOBC in the $10.75 area could prove to be prudent. You are anticipating a move to the upside. It’s also a conservative way to enter AOBC without the limitation of time, which is associated with other strategies. In this scenario, it would also be good practice to place a sell-stop order in the $10.00 area to mitigate potential losses. Because of the reasons given above, the purchase of a debit call spread may be one way to approach this situation. The first thing that you want to determine is your target price. You need three pieces of information to complete this calculation: current price, expiration date and at-the-money volatility for that timeframe. This calculation yields a target price of approximately $12.00. One could consider the potential opportunity of the April 20th monthly expiration 11/12 call vertical paying $0.35. This has a maximum risk of what you paid for the spread, or $0.35. The maximum reward is the width of the spread less any premium paid or $1.00 – $0.35 = $0.65. This gives us a reward to risk ratio of 1.86:1. This r/r ratio is a bit less than normal. But we must take into account the low price of the stock. And that we are being very conservative with our target price. Given the trading and market environment outlined above, a trader must evaluate the reward/risk ratio. It may not be appropriate for his/her risk tolerance. VantagePoint Software uses the power of Artificial Intelligence. Traders use this to predict market direction and strength 1-3 days in advance with up to 86% accuracy. With deep learning using neural networks, VantagePoint can show you what the market is going to do. Not what it’s already done. Request a personalized demonstration of VantagePoint Software today. Learn why more than 25,000 traders trust the software, which helps them achieve trading success.